Leave your cruise ship behind in Aqaba port and enjoy Aqaba Shore Excursions, visit to one of the largest natural wonders of the world at the Dead Sea, enjoy snorkeling, swimming and sunbathing or just float on the salty water of the Dead Sea. Shaspo Tours representative will pick you up from Aqaba port, transfer by air-conditioned modern van to the Dead Sea, the largest "Natural Spa" in the world, it is also known as one of the world's true natural wonders and a unique destination. 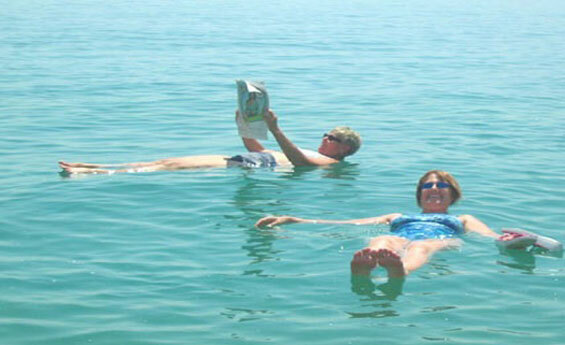 Enjoy the natural health and beauty benefits of the Dead Sea, enjoy sun bathing, swimming, or relaxing to treat yourself or enjoy massage as well, Lunch included during your trip to the Dead Sea, at the end of your dead Sea tour transfer back to Aqaba port to catch your cruise ship.